It's gotten cold and dreary. 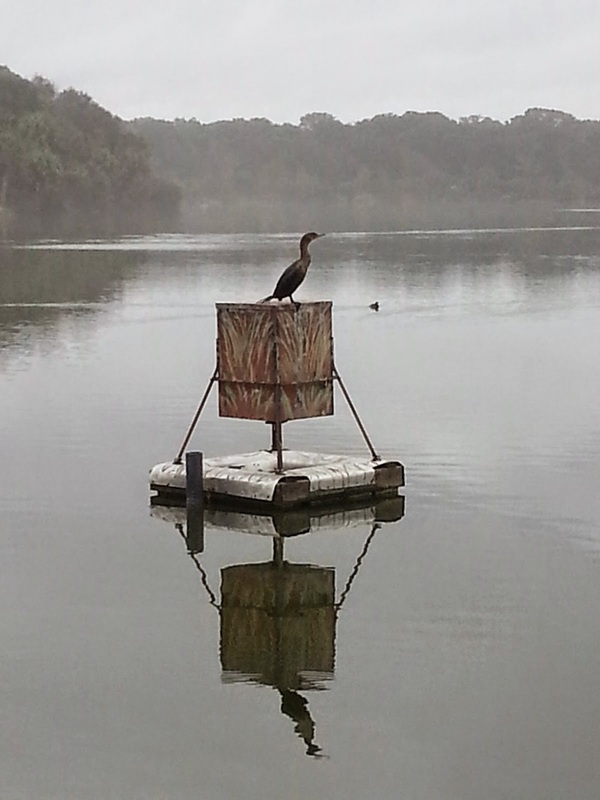 While patrolling the park I saw this bird taking a rest in the lake. This is as close as I could get (with the zoom). I have no idea what kind of bird it is, but it sure looked comfortable. Can you guess the bird species? It has webbed feet and a pointy beak. This was taken on the northeastern coast Florida, about a half mile from the ocean. Comorant maybe?